With the University of Wyoming Spring Commencement taking place on May 5th, we thought we would send our intrepid seniors off with a few photographs of past graduates during their processions and ceremony. To all UW graduates, we wish you the best! 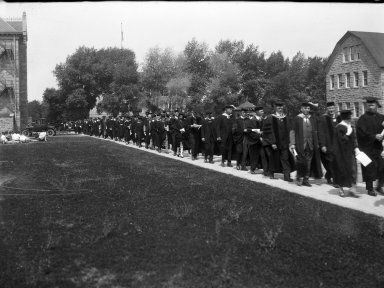 University of Wyoming Commencement, circa 1920. University of Wyoming, American Heritage Center, Photo files Colleges and Universities - University of Wyoming--Commencement--1920s. 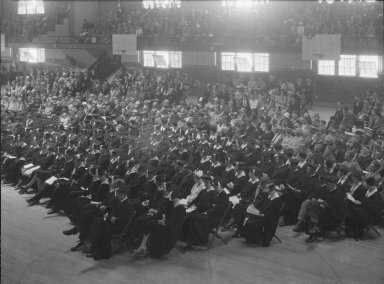 University of Wyoming Commencement, 1928. University of Wyoming, American Heritage Center, Ludwig Svenson Collection. 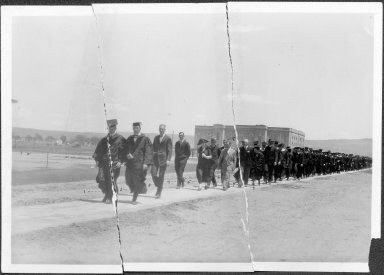 University of Wyoming Commencement, 1931, University of Wyoming, American Heritage Center, Ludwig Svenson Collection. This entry was posted in University of Wyoming history. Bookmark the permalink. 1 Response to Congratulations, Graduates!